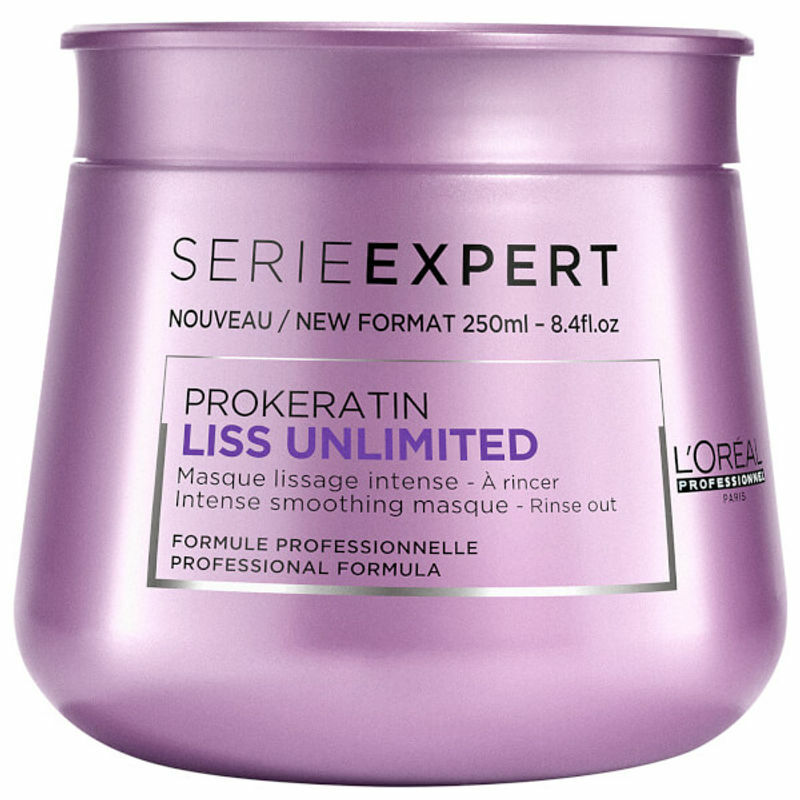 L'Oreal Professionnel Serie Expert Liss Unlimited Keratin Oil Complex Masque is specifically designed for curly and frizzy hair. This luscious smoothing hair mask nourishes, smoothes and protects your hair fibers against humidity. Formulated with Polymer AR to wrap hair fiber with a special anti-humidity shield, it intensely hydrates and repairs hair while taming frizz. Unveils sleeker, shinier and more manageable hair. Know more: Enriched with Pro-Keratin and Kukui & Evening Primrose Oil, the Liss Unlimited range purifies the hair and scalp providing up to 4 days of anti-frizz effect, even with a 80% level of humidity. 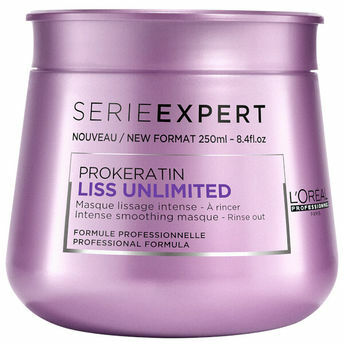 Pro-Keratine: Improves and maintains hydration of the hair, strengthens its structure and leaves it soft and shiny. Kukui Nut Oil: From Asia, this nut is pressed from the seeds of the Aleurites Moluccana Tree, which oil contains Omega-6 and Omega-3, two essential fatty acids whcich cannot be produced by the human body. Kukui nut oil therefor provides a reinforced protection against humidity - acting as a humidity blocker. About the Brand: L'Oreal Professionnel believes in the powerful combination of advanced research and Professionel expertise to create products that your hair always wanted. Innovative products, tested and approved by the biggest names in hairdressing, L'oreal Professionel maintains the highest standards of quality in terms of performance, comfort and safety with an extensive range of hair care, styling and colour products that suit all hair types. Explore the entire range of Hair Creams & Masks available on Nykaa. Shop more L'Oreal Professionnel products here.You can browse through the complete world of L'Oreal Professionnel Hair Creams & Masks .